Pokémon Go Plus is a Bluetooth accessory that lets you interact with Pokémon GO from your wrist. 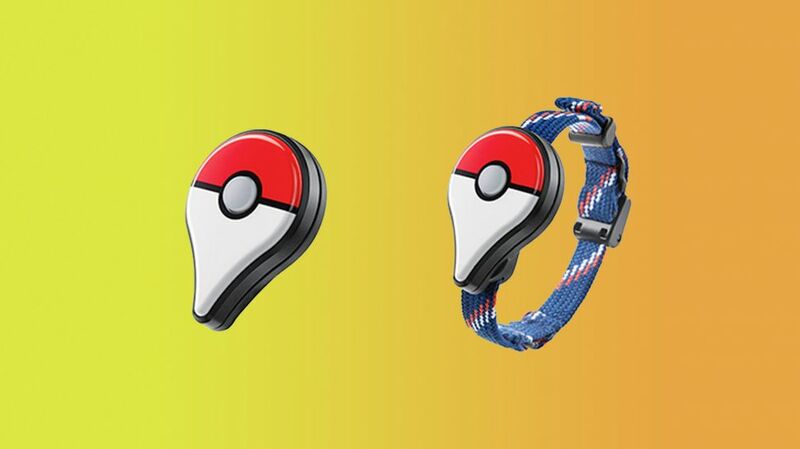 You can catch Pokémon with Pokémon GO Plus, and you can gather items from PokéStops as well. In this Pokemon Go Plus Guide we'll tell you how the device works and how best to use it. If you want to more easily catch Pokemon, this is the device for you. The Pokémon GO Plus needs to be synced to your phone before you can use it. After making sure you've downloaded the most recent version of the app, open up Pokémon GO and go to the Settings menu. Select the "Pokémon GO" option, then pair up your phone and the accessory by pressing the button on the GO Plus to link the devices. When the GO Plus blinks green, it means a Pokémon you've already caught is nearby. When the GO Plus blinks yellow, it means a Pokémon you haven't caught is nearby. In either case, press the button in the center of the GO Plus to try and catch the Pokémon. If you succeed with the catch, the GO Plus will display a multicolored light. If you fail, the GO Plus will display a red light. Note that catching Pokémon with the GO Plus automatically uses regular PokéBalls, and you can't switch out to Great Balls or Ultra Balls. Moreover, you can't use Razzberries. Also, if you try to capture a Pokémon with your phone, you'll need to re-establish the link between the GO Plus and the game once again when you decide to switch back to your GO Plus. When you're in the vicinity of a PokéStop, your Pokémon GO Plus will vibrate and blink blue. Press the button to collect items. The light will blink multicolor for successful retrieval, and will shine red if the PokéStop is out of range. After a recent update, Pokemon Go Plus will interact with Gym Photo Discs, and you can push the button to collect items. If your bag is full and you can't collect anymore items, your Pokémon GO Plus will vibrate and show a white light. A new peripheral called the Poke Ball Plus was recently announced to coincide with the release of Let's Go Pikachu and Eevee. We've collected everything you need to know in our Poke Ball Plus Guide, which tells you release date, info on how to use it, and how much it will cost. If you're after more Pokemon Go tips, you could do worse than this useful guide on how to evolve Eevee in Pokemon Go.